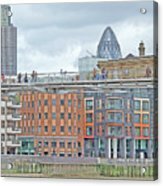 Geordie, thank you for featuring Millennium Footbridge in The City of London Artwork group. 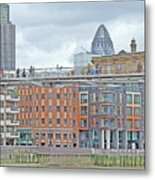 Joan, thank you for featuring Millennium Footbridge in the Europe Landscapes and Scenes group. Much appreciated. Featured in the Europe Landscapes Group, Ann! Fave! Your kind comment is much appreciated, Lianne. Thanks a lot. 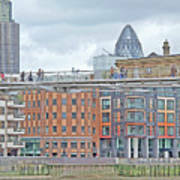 Bruce, thank you very much for featuring Millennium Footbridge in the Architecture group. many thanks for your kind comment, Will. Much appreciated. An interesting image of London and the featured footbridge, Ann~~fine work!!! Thank you very much for your kind comment, Theresa. I took this while on a boat ride on the Thames. Many thanks for your kind word of encouragement, Nina. Many thanks for your kind comment, Lainie. Appreciated as always. Thank you very much, Cheryl. I do appreciate your support! The London Millennium Footbridge spans the River Thames between St. Pauls Cathedral in the City and the Tate Modern Gallery on the South Bank. 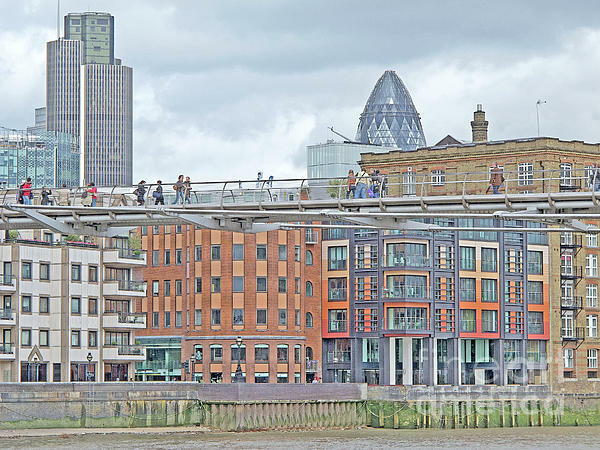 This image was taken from the river and shows pedestrians on the bridge, with buildings of the City of in the background. The first new Thames crossing built in more than 100 years, it was opened in 2000 and soon became known as the Wobbly Bridge because of excessive swaying when walked on. When the source of the problem was identified, it was remedied and reopened in 2002. Copyright 2012 Ann Horn. ALL RIGHTS RESERVED. This copyrighted image does not belong to the public domain and may not be reproduced, copied, altered or manipulated in any way without the written permission of Ann Horn. ann-horn.pixels.com. pixel.com Group Features: The City of London Artwork. European Landscapes. Architecture.